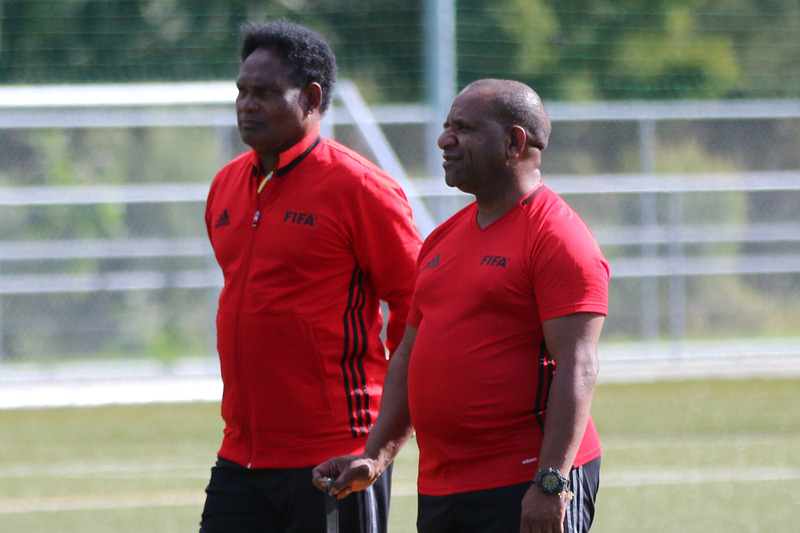 After four intense days interpreting the Beautiful Game, Papua New Guinea referee instructor Jimmy Warai is feeling inspired by his new wealth of knowledge has big plans when he returns home from the annual FIFA FUTURO III course in Auckland this week. Warai has joined 40 other referee instructors in three consecutively-delivered courses – focusing on technical or fitness procedures in either futsal or football – aimed to standardise the interpretation of the laws of the game and give instructors the tools to develop match officials in their member associations. “The course has been very good. We are learning new things every year when we come for these FUTURO courses. Football is always changing,” Warai said. Joining his fellow participants only days after completing his assignment as a referee assessor at the OFC U-16 Women’s Championship in Samoa, Warai has enjoyed applying real-life examples from the competition to content and integrating his experience into the course. “Being an assessor in the OFC U-16 Women’s Championship in Samoa was very educational,” he said. The next big challenge for Warai will be passing on his new knowledge back home and ensuring every referee is reached. In a country like Papua New Guinea, he knows this will require a team effort. “Due to the geography of Papua New Guinea, all of our referees are all over the place,” he said. “It would be good for us to run a referee instructor course in Papua New Guinea for the local instructors. The country is very big and it is hard for everybody to come to one central location and complete courses and activities. Although Warai is aware of the challenging task ahead, he is more eager than ever to inspire change and lift Papua New Guinea refereeing to the world standard. “With the knowledge I acquire here I will try my best to work through the obstacles of passing on information, like access to internet. I will try find a way,” he said. The FIFA FUTURO III course will conclude on Saturday 2 September.